Through a partnership with the Conservation Legacy AmeriCorps VISTA Program, Guidestone Colorado has been awarded and will host an AmeriCorps NCCC Team May 17 – June 2. Comprised of nine young adults between the ages of 18-24, the Team will be volunteering their labor to two community sites in Salida that Guidestone Colorado manages: the Salida School Gardens, Holman Ave. Site and the Hutchinson Homestead & Learning Center on Hwy. 50. The Team will assist Guidestone Colorado in preparing those two sites for the coming season. At the Salida School Garden, Holman Ave. Site they will be assisting with planting produce, expanding the growing area, and assisting with the fruit tree orchard expansion. At the Hutchinson Homestead & Learning Center the Team will assist in preparing the grounds and conducting maintenance on the historic buildings in preparations for summer tours and Farmhands Education Programs offered through Guidestone Colorado. Would you like to meet this amazing group of individuals who are serving our community? Join us May 30 from 10am-2pm for the Adopt a Fruit Tree Salida School Gardens Fundraiser! 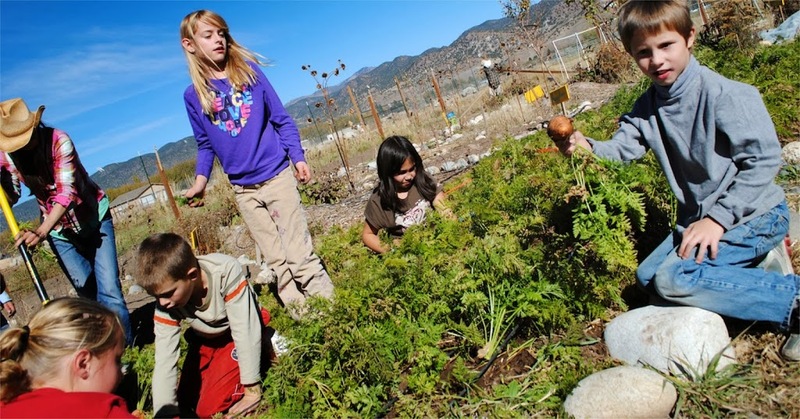 Vote for the Salida School Gardens Program to receive an Opal Apple Youth Make a Difference Grant! Guidestone Colorado is pleased to announce that our Farm to School Initiative and the Salida School Gardens: Healthy Food, Healthy Growing Program is a semi-finalist for the Opal Apple Youth Make a Difference Grant! To secure this grant, we need your vote, and it’ll only take a second! VOTE HERE! Voting beginning April 15 through May 15, 2015. Only one vote per person is allowed. To vote, visit here Also, please help us spread the word by sharing the – this link http://opalapples.com/voting/healthy-food,-healthy-growing,-salida-school-gardens-program.aspx – with friends and on facebook. Want to say more with your vote? Consider matching your vote with a $1 donation to directly support the program! Donate here! A big thank you to Opal Apple for this opportunity, and a of course a big thank you to all of you community members who contribute to the program on a daily basis whether through, votes, donations, volunteerism or enthusiasm! Elevation Beer Company and LiveWell Chaffee County to Sponsor First Volunteer Days at the Salida School Gardens, Holman Ave. Farm Site! Won’t you join us? Elevation Beer Company is rallying their team to kick off the season with the first volunteer day at the Salida School Garden next Wednesday April 15th from 5-8! We’ll gather at the garden on Holman Ave, by the dog park and soccer field at 5:00, take a tour of the garden, learn what the project is all about, and then dig in to some spring bed prep and early season seeding! “The Elevation team is excited for this fun opportunity to work together to help and learn more about this great local organization,” says Sheila Bustamante, Co-owner, Elevation Beer Company. 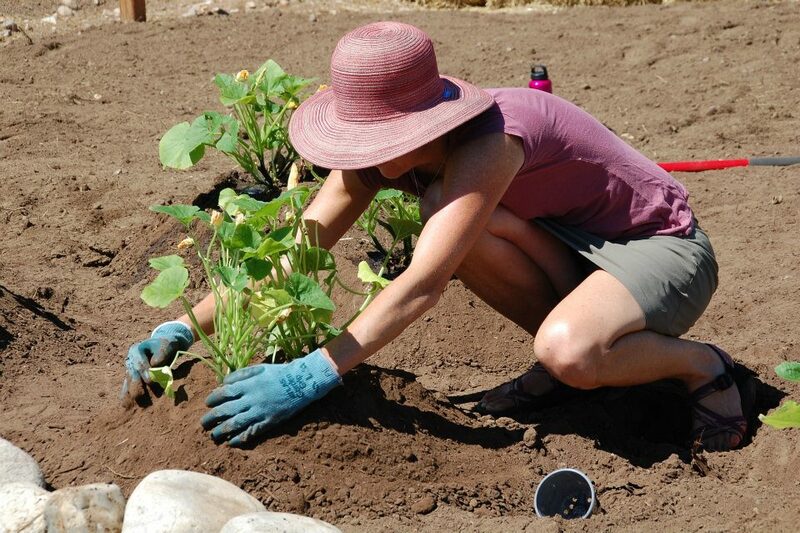 Additionally, LiveWell Chaffee County is sponsoring another volunteer morning Friday April 17th from 9am-12pm and will also provide a light lunch after working up an appetite in the garden! Both volunteer opportunities this week promise to be a great time with fun crews, and we’ll get some much needed spring garden work accomplished. Show your support, have a great time — join us! Spring has sprung at the Salida School Garden! With the Equinox just around the corner, trees beginning to bud and bees emerging, not only is spring on its way, it feels like it’s already upon us! Production is an ongoing labor of love at the school garden, and we can always use extra helping hands! This year we’re inviting volunteers to join us every Wednesday from 5-8pm, and Friday from 9am-12pm throughout the growing season: April 15-October 16th. We’d LOVE regular volunteers, but appreciate one time helpers too! 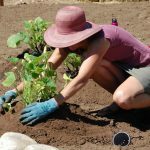 Tasks will vary depending on the season but could include bed prep, irrigation installation, seeding, transplanting, harvesting and washing produce! Families are always welcome, and children under 13 must be accompanied by an adult. To register CLICK HERE! Do you ever get inspired by your neighbors’ apricot bounty, cherry pie, or apple sauce? Do you want to learn more from local experts about planting and growing fruit trees of your own? 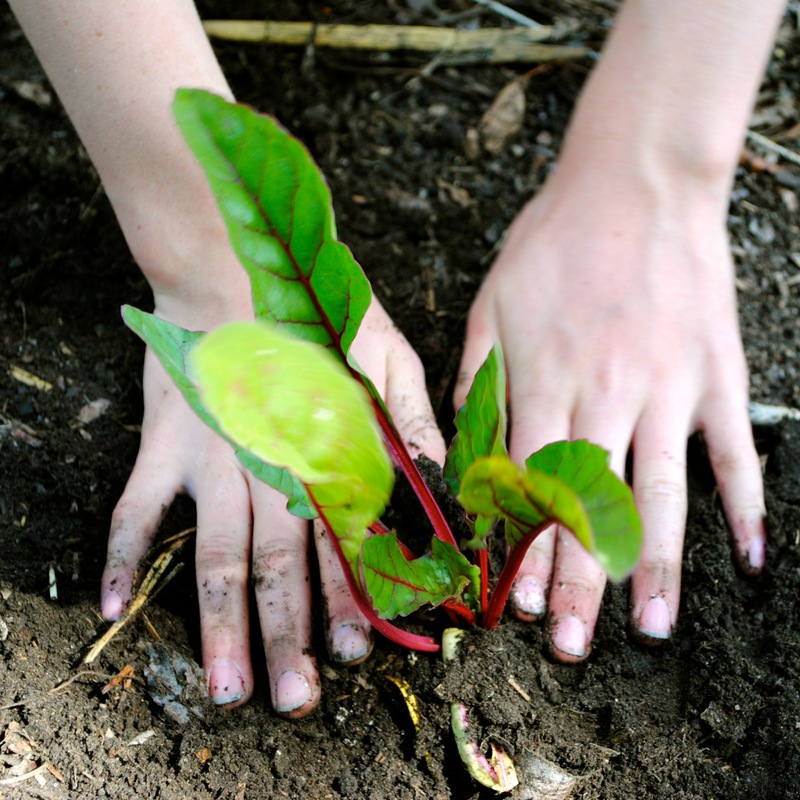 Come join us for Growing Fruit Trees in Chaffee County, a workshop for adults at the Salida School Garden- Holman Farm site! March 31, 5-7 pm. For more information CLICK HERE! Help us celebrate school gardens, good neighbors and good food, by sharing in a community potluck every last Thursday of the month, at the Holman Farm Site, May through September, (May 28, June 25, July 30, Aug 27, Sep 24) Come at 5:00 for a garden tour, and or drop in at 6:00 for the meal! Bring your friends and family, a food item to share, and your own bowl, utensils, and cup/water bottle! Are you looking for a summer position, want to learn more about gardening and contribute to the success of the Salida School Gardens Program? Guidestone is offering a paid Farm to School Production Internship this summer, from June 1-July 31. This position will support all production aspects at the Holman Farm Site, support production at the other district education garden sites, and assist with marketing and sales of produce. For more information CLICK HERE! As you can see, there is a lot going on at the school gardens this year, and a lot of ways that we hope you will join us in our efforts and in celebration! This is not an exhaustive list, so stay tuned for additional events and opportunities. In the meantime, we hope you check out our website, stop by the garden, lend a helping hand, share a tasty meal, and stay in touch! Longfellow Elementary 3rd Graders harvesting carrots for the Healthy Foods Party on Food Day Oct. 24th. October is National Farm to school month, with October 24, 2013 being the official National Food Day. Food Day is a nationwide celebration of healthy, affordable, and sustainably produced food and a grassroots campaign for better food policies. In honor of Food Day, Guidestone is celebrating with some special events for students in the Salida School District, by offering healthy food parties for classrooms, which will include information about local produce grown in the Salida School Gardens and being incorporated into the District School Lunch program, a “How Much Sugar’s In Your Snack” demo, and healthy treats to share. In addition to a fun, engaging and delicious opportunity for students, a goal of these parties will be to develop a template for the District Wellness Policy on hosting healthy food parties in the classroom. In regards to healthy, locally produced foods in the schools, our community has a lot to celebrate. Already this Fall, the Salida School Gardens has produced 1111lbs of fresh produce, 879lbs of which have gone to the school, 122lbs has been sold to the Hospital and 78lbs to other venues. Danny Quinto, and the entire cafeteria staff, has transformed this fresh food into healthy and delicious meals served daily for our children. Food Day is a chance to celebrate this accomplishment with students and teachers in their classrooms. To learn more about the national organization, Foodday.org has developed an extensive list of resources including a curriculum guide focused on teaching children the importance of eating real, fresh food, cutting back on processed foods, and advocating for a healthier community. You will also find reading lists for a wide variety of Farm to Table appropriate topics. Another exciting opportunity to bring healthy food to kids in our community is the Healthy Meals for Kids (HM4K) Chaffee County Program, which is helping ensure that all children in Chaffee County have access to healthy meals when school is not in session. Amica’s, the Salida Boys & Girls Club and LiveWell Chaffee County have partnered over the past two years to provide healthy meals to Chaffee County children over the summer, and they anticipate reaching over 10,000 meals served by the end of next summer. Local Salida restaurants are donating a portion of their sales to the Healthy Meals 4 Kids Program during a “dine out” event October 24-27th, including Amica’s, The Fritz, Benson’s and Rivers Edge. In addition, Moonlight Pizza’s Moonlight Monday on Monday, October 28th will benefit HM4K. Salida area coffee shops and bakeries are also showing their support by having donation jars where you can donate your change to a worthy cause. You can donate at Sacred Ground Coffee, Rise and Shine Bakery and Café Dawn during the same dates. Café Dawn will also donate a portion of their sales on Thursday, October 24th. For more information about the Healthy Meals 4 Kids program or LiveWell Chaffee County, please contact Lisa Malde, Director of LiveWell Chaffee County, at lmalde@chaffeecounty.org or 530-2569.